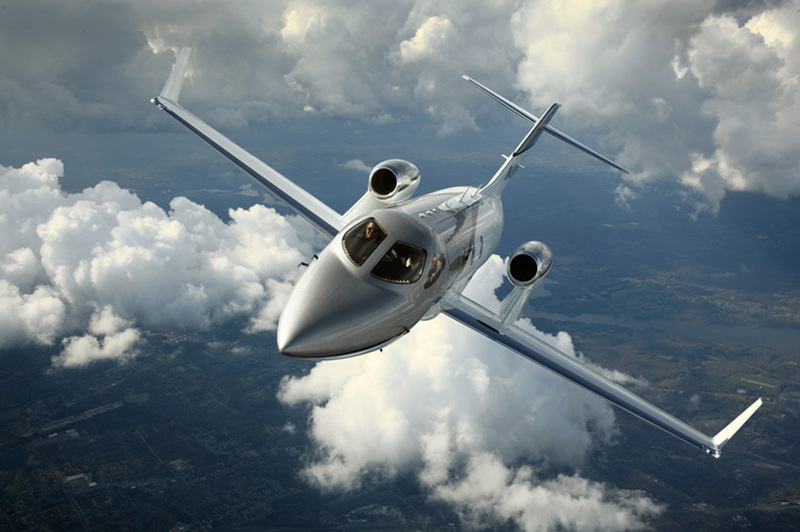 Honda Aircraft’s HA-420 HondaJet is one of nine nominees—and the only business jet contender—selected by a National Aeronautic Association (NAA) committee to vie for the 2015 Robert J. Collier Trophy, the NAA announced on Tuesday. The Collier Trophy is awarded annually “for the greatest achievement in aeronautics or astronautics in America.” While the NAA doesn’t explain why the nominees were selected, the recently FAA-certified HondaJet was likely chosen for its unique over-the-wing engine mount configuration. Other nominees for the 2015 Collier award include the Airbus A350 XWB; Blue Origin’s New Shepard Team; C-5M Super Galaxy; Dawn Project Team; Icon A5; New Horizons Project Team; Two Eagles Balloon Team; and UCAS-D Autonomous Aerial Refueling Demonstration. The NAA selection committee will meet on March 8 in Arlington, Va., and the winner will be announced that evening at the NAA Spring Awards Dinner. There were two business jet nominated for last year’s Collier Trophy—the Embraer Legacy 500 and Gulfstream G650, with the latter clinching the award. Several other business jets—including the Gulfstream GV, Cessna Citation X and Eclipse 500—have previously won the trophy. Hi Chad: The HondaJet's overwing-mounted engine configuration is definitely NOT unique, anything but. The VFW-Fokker jet airliner (really a small regional jet) of the early 1970s had overwing-mounted Rolls-Royce/SNECMA M45H turbofans. Check it out! I meant to say the Fokker-VFW 614. It first flew in 1971 and although fewer than 30 were built, the last example was retired as late as 2012.